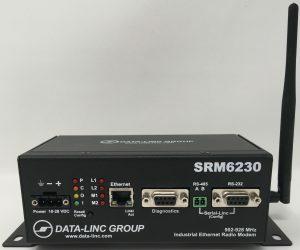 Data-Linc’s license-free SRM6230 Ethernet radio modem offers exceptional reliability, versatility and performance for Ethernet wireless data communications. 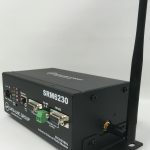 This latest version offers improved hardware with a faster processor, while maintaining Data-Linc’s commitment to backward compatibility with its corresponding legacy versions, such as the SRM6220, SRM6210E and SRM6200E versions. 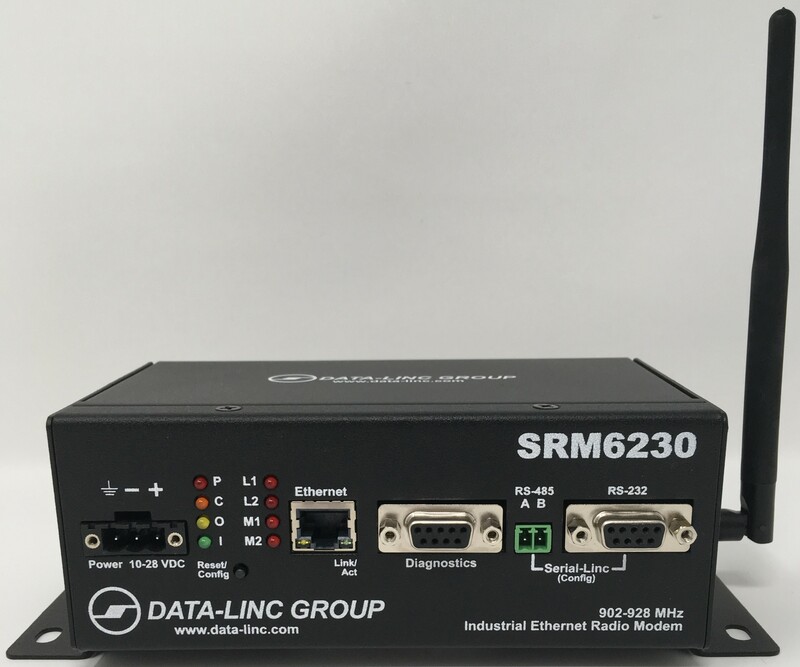 Like its predecessors, the SRM6230 Ethernet radio modem employs SmartSpectrum™ FHSS (Frequency Hopping Spread Spectrum) technology in the 900MHz ISM frequency band for robust communications. This allows customers to implement a proprietary wireless network in high RFI/EMI noisy environments, including areas with existing wireless infrastructure, bringing the benefit of exceptional data integrity. 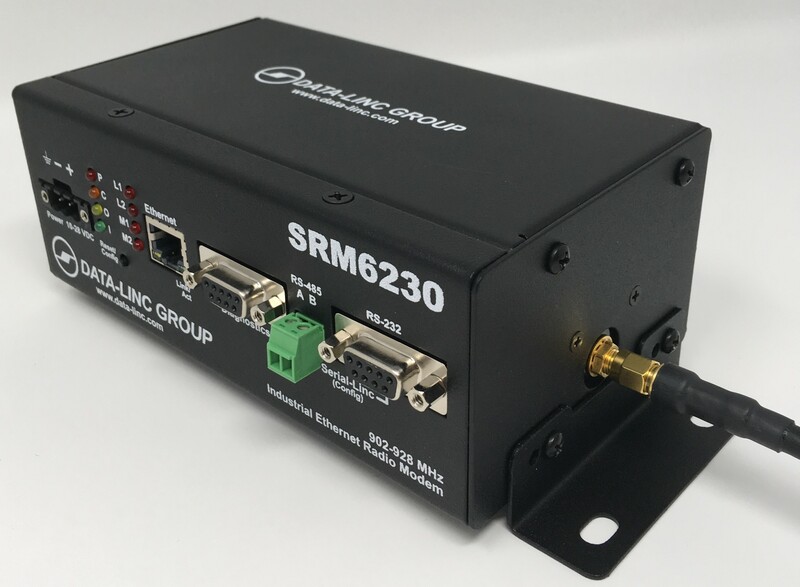 The SRM6230 is software configurable. Data-Linc’s proprietary Set-Linc™ software, that is included with the SRM6230 modem, simplifies modem setup and configuration. The 10/100 Auto-MDIX Ethernet port not only supports data transfer but also provides access to the configuration software. 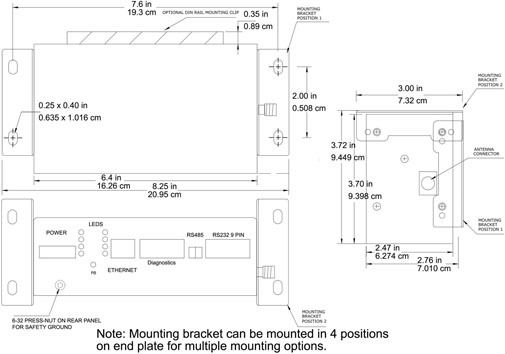 Configuration is also available via a separate DB9 serial port. 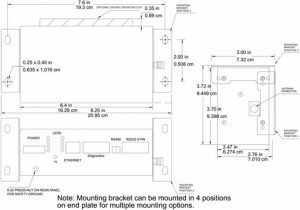 For customer convenience and first-line diagnostics, the front panel includes LED status lights that provide direct access to critical information. 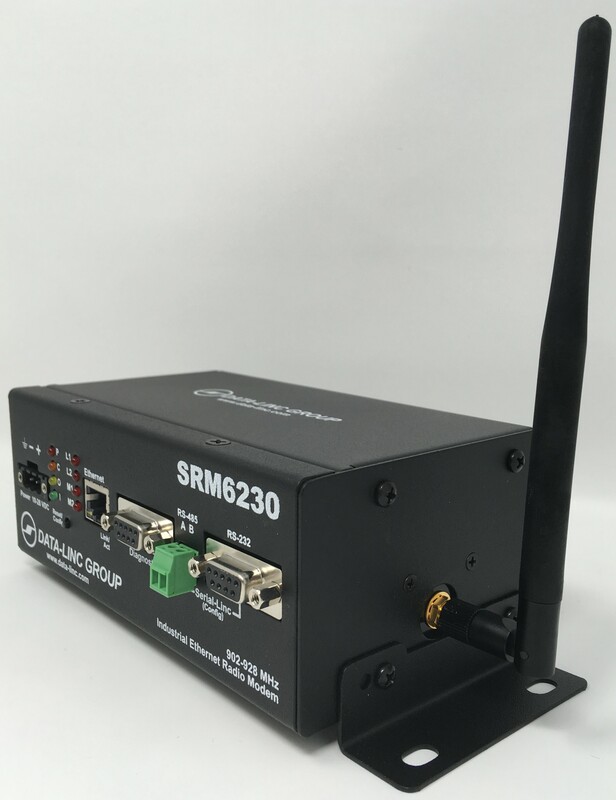 As with all members of the SRM Family of license-free SmartSpectrum™ Radio Modems, the SRM6230 supports both point-to-point and point-to-multipoint network topologies and a virtually unlimited number of radios. 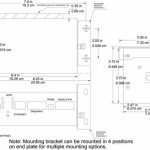 Each modem can be individually configured as Master, Remote, Repeater or Remote/Repeater, through the included Set-Linc™ software. 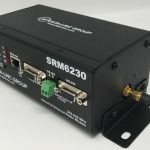 The SRM6230 not only provides superior security through AES-256 encryption but also offers a long-distance range of up to 25 miles (40 km) with line-of-sight, farther with Repeaters and/or high gain antennas.